Vintage Old Post card, China. Chinese. 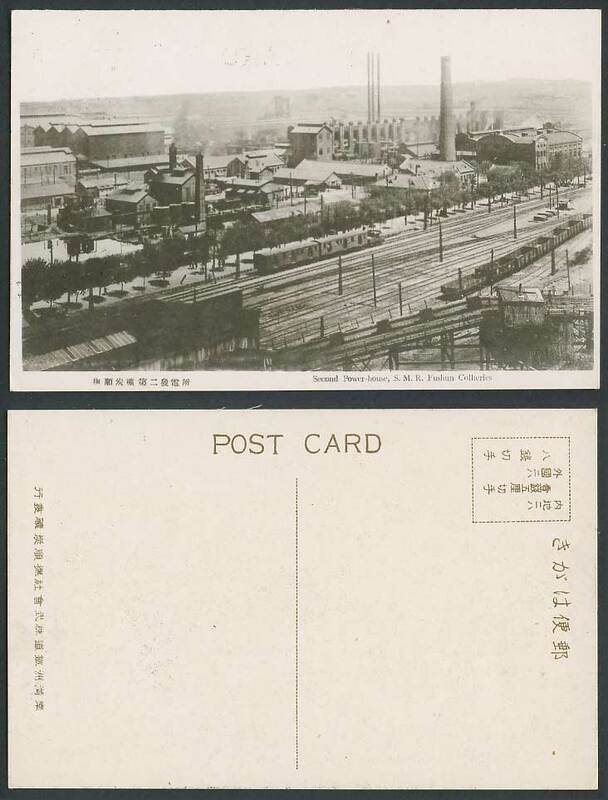 Second Power House, South Manchuria Railway. S.M.R. Fushun Collieries. 2nd Power Station. Power Plant. Coal Mine. Railway, Train. Chimney. 撫順炭礦第二發電所.